Come and visit our accessories shop to take advantage of our current offer!! We are very pleased to announce that we are the first company in the UK to install Dometic eStore batteries. The eStore is Dometic's first Lithium Ion battery and is a very impressive battery. Some of the features are listed below. If you are interested in the benefits of Lithium Ion in your vehicle please contact us for more information. Yesterday after ringing a few of your agents I was fortunate enough to contact the above who then sorted out my problem in the most pleasant ,efficient and compassionate way ,to my great satisfaction. They understood the urgency of the matter, unlike some of the other of your agents who suggested that the problem would have to wait until after Xmas,!! Irrespective of the fact there was food in the fridge. I would like to register with you what a wonderful agents you have in the above,they are a great ambassador to your products .Please convey and record my thanks to the good work they deliver. Once again Mullacott Caravans came to my rescue when a bed slat broke on a knot in the wood. Tom made a new slat for us and came to the caravan on site to fit it the same day. This is first rate service. Mullacott Caravans provide a fast efficient and reasonably prices service to our caravan. Without doubt the best service we have received in out 38 years with a caravan. Just wanterd to say thankyou so much for all your help this week with the problems with our caravan. Without your expertise we would have probably gone home! Having arrived in Devon On Holiday it was apparent we had a brake problem on our caravan. We arranged to have it checked on our departure day, the problem was greater than we thought and a new axle and hub assembly were required. We left without out caravan but as it turned out it could not have been in safer hands, the estimate for the work was emailed to us and was there before we even got home. 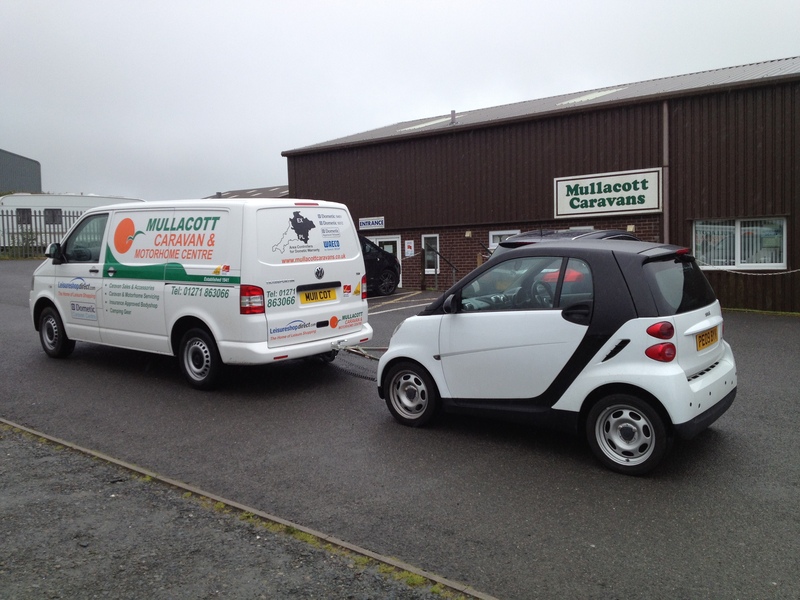 Mullacott Caravan & Motorhome Centre is a long established company based just outside Ilfracombe in North Devon. Mullacott Caravan and Motorhome Centre covers the North Devon area for caravan servicing, caravan repairs, motorhome habitation checks and accident repairs. We can offer caravan and motorhome servicing close to Barnstaple, Bideford, Braunton, South Molton and Tiverton. We have a fully stocked caravan accessory shop with everything you need for your caravan and motorhome. We are a Dometic Caravan Centre so can offer extended warranty on any Dometic appliance we supply and install. If you would like accessories installed such as a caravan mover or a satellite system we are able to carry this out at very competitive prices. We have been repairing and supplying accessories for caravans and motorhomes since 1952. We are able to help with all your caravan and motorhome requirements.